What Is the Best Angle Grinder for You? 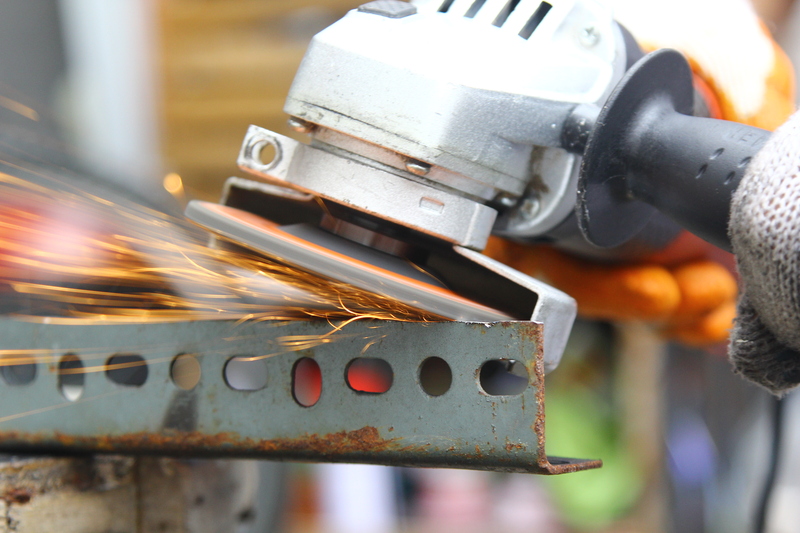 Do you need a new angle grinder to help you polish, grind, and cut metal when you’re doing your welding? Or on the contrary, have you never owned an angle grinder and are looking for a guide that can help you decide what the best one for you is? Regardless of the answer, you’re going to enjoy the topic of today’s article. We’ve prepared a top 5 of some of the most sought after angle grinders so that you can find the best angle grinder for your needs. There’s more than one type of angle grinder on the market. For instance, some angle grinders connect to a bench, while others are portable. A third type is designed to use with one hand. The choice you make depends on the type of work you want to get done and how much flexibility you need. The size of the disc is also important when it comes to choosing a great angle grinder. This disc is what you’re going to be working with. The larger it is, the more powerful your angle grinder will be. For more precision, we recommend a smaller disc. When it comes to motor power, you should look at amp rating, wattage, and voltage. They are very important for how powerful the motor is going to be. Some of the most popular choices are angle grinders that go from 110 to 230 volts AC, 500 to 2500 watts, and 4 to 15 Amp. If you aren’t a professional and need an angle grinder for simple household projects, you can choose one with lower stats. Which Handheld Grinder Weighs the Least? All 5 of the angle grinders we’ve reviewed are handheld corded tools. Because of this, weight plays a huge factor in deciding which tool is the preferred choice. Although it’s not as durable as the other tools, the Black & Decker is definitely the lightest tool by far. The Black & Decker grinder weighs the least at 4.8 lbs., next is the VonHaus grinder which weighs about 5.5 lbs, 3rd is the Porter grinder weighing around 5.8 lbs, fourth is the Dewalt weighing 6.2 pounds, and finally, the Makita weighs a whopping 11.9 lbs. Speed refers to the revolutions of the angle grinder disc per minute. Some of the best ones range from 5,000 to 10,000. Powerful grinders get the job done quicker, but they’re also harder to control. Make sure you pay a lot of attention not to injure yourself while using one. Speaking of being careful when you handle an angle grinder, safety features are really important. This is especially important if you’re just starting out. Make sure the grinder you purchase is easy to use. Second of all, look for one that has extra safety features, such as a shield that will protect your eyes. Last but not least, comfort is also important when choosing an angle grinder. Especially if you have jobs that require a lot of time to complete, you’re going to want to be comfortable while getting them done. Make sure that you can hold the grinder comfortably, that it’s not too big or too heavy, and that it has a handle that you can adjust. 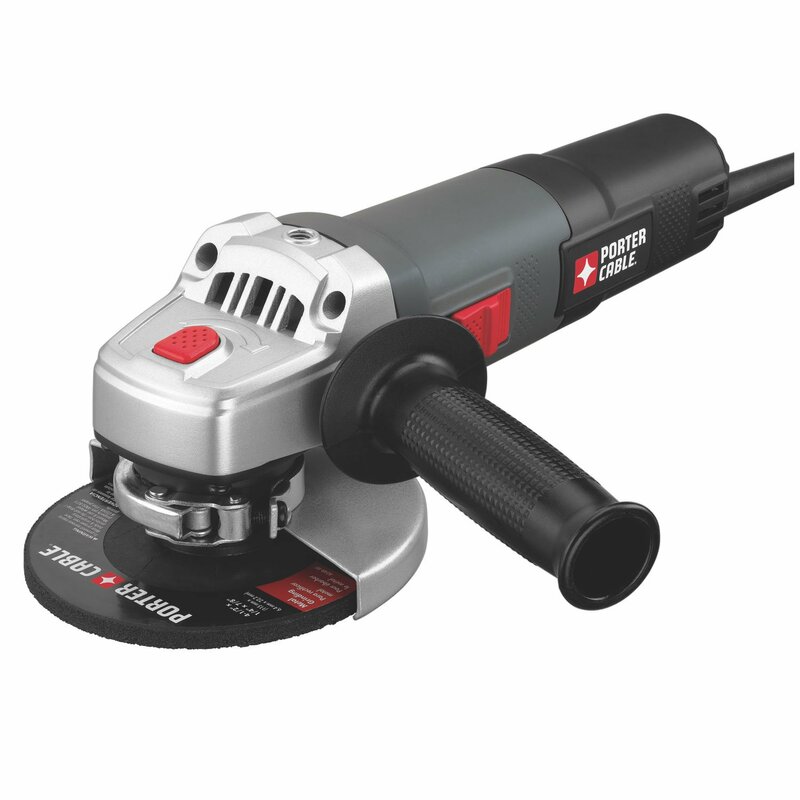 This grinder is suited for all jobs and will cut through just about any material you desire. The handle on the side of the tool is adjustable, which is a good feature for projects that require a lot of precision or awkward grinding positions. The VonHaus grinder comes with a single multi-purpose disc, but others can be purchased to fit the tool based on the shape and size that you need. Like the VonHaus, the Porter grinder also has an adjustable handle. Located on the side, there are 3 positions for the handle depending on the job and angle that you are grinding from. This grinder comes with a case to store the tool in, which is super nice. It also comes with a grinding wheel, a grinding guard, and a wrench. 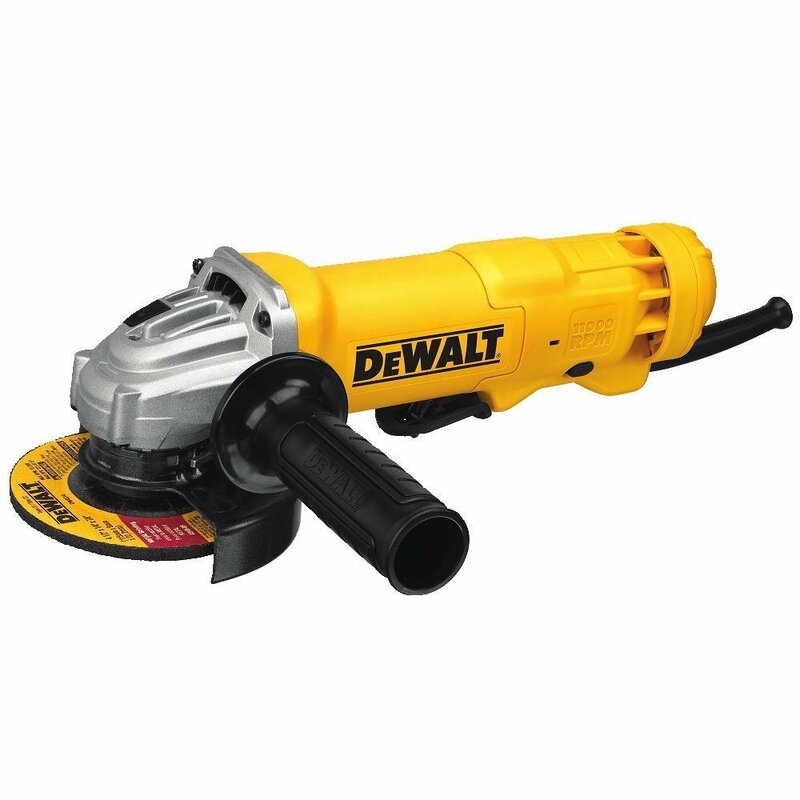 This Dewalt Grinder has a handy feature that gets rid of dust as you’re using the tool. Also, the handle on this grinder was built for comfort because of the oversized grips and threads making it easy to get a hold of. In the box when you purchase this item, you will receive a blade guard and a handle. The Black & Decker grinder comes with a case to help the tool have a longer life and it also features a spindle lock which helps you to change out the blades more easily. With this grinder, you will also get a spanner wrench and a grinding wheel. 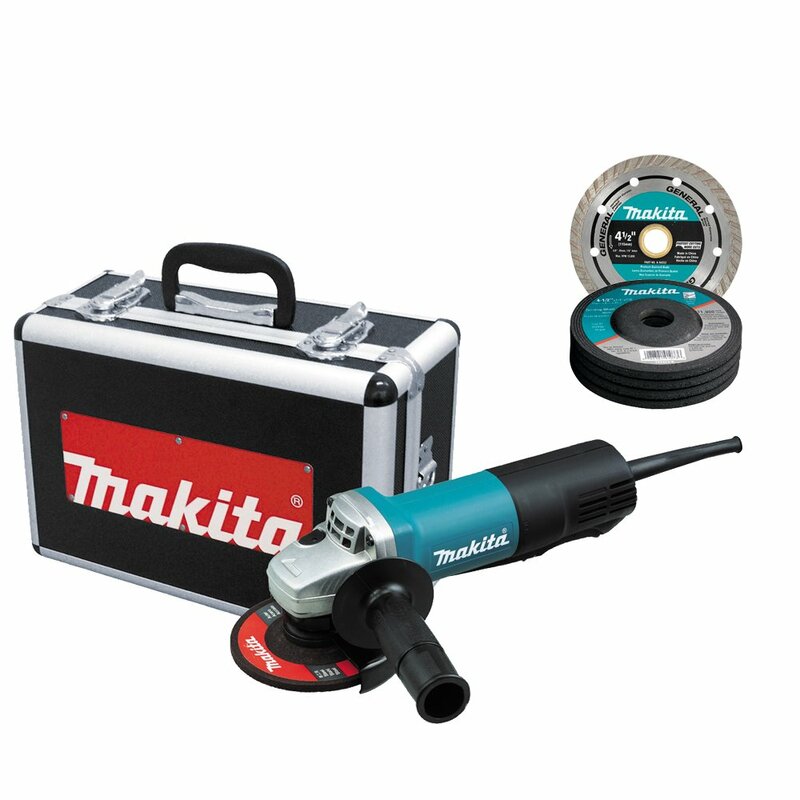 The Makita grinder comes with multiple accessories including grinding wheels, a wheel guard and handles, a case and an extra wheel. This grinder also has a handle that can be placed on both sides of the tool making it easier to handle. This angle grinder from VonHaus has a 6 Amp motor, which is quite powerful if we compare it to other angle grinders in the same price range. Speaking of price, it only costs $25.99 on sale on Amazon. The wheel diameter is of 4-1/2 inches, which makes it compatible with all replacement discs of the same size. This grinder is corded and you can use it on many types of materials. It comes with a safety guard that ensures you’re able to rotate the angle grinder whenever you’re grinding at a more difficult angle. The handle is detachable, so you can simply remove it and place it on any side you want, which makes the grinding process much easier. The load speed is of 10500 r/min, while the rated voltage goes somewhere between 120V and 60Hz. 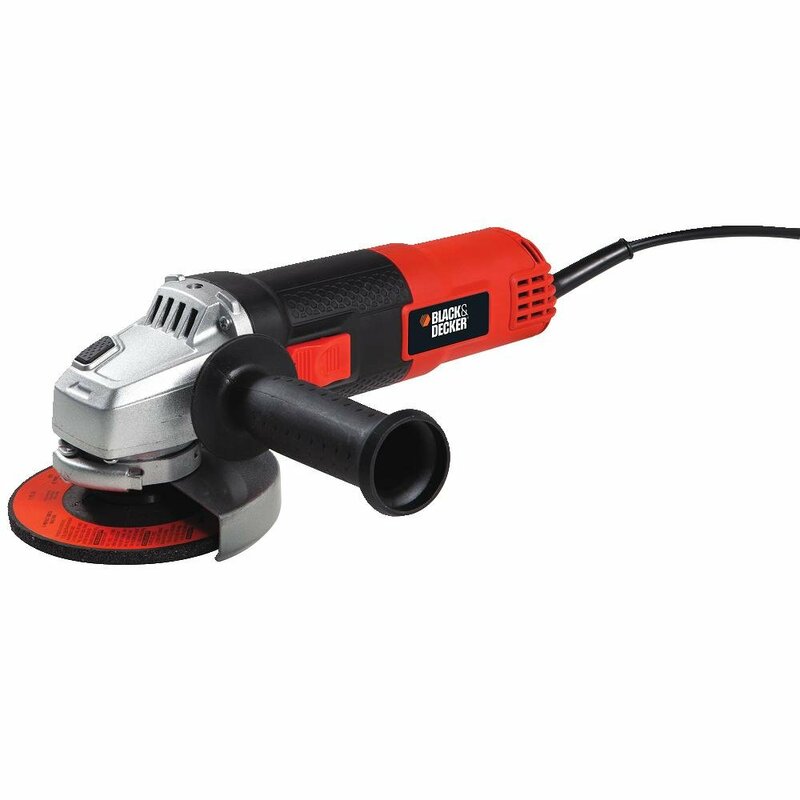 All in all, this could be the best angle grinder for you, if you’re looking for an affordable machine that you can use for many jobs that involve removing material, cutting, smoothing surfaces, grinding, and so on. If you’re looking for angle grinders that remove any excess material really fast, then you’re going to like this one coming from PORTER-CABLE. It works at an impressive 11,000 RPM, with a 6 Amp motor which is extremely durable, and with a 4-1/2 inches diameter wheel. The grinder has a side handle and a spindle lock, but it doesn’t come with variable speed. The side handle can be moved in three positions, which allows you more control over the angle grinder. The wheel and the wrench are included in the package, but the batteries and case are not. We’re especially impressed by the performance of the motor, which coupled with the ergonomic design of the grinder makes for a really user-friendly experience. You can purchase this angle grinder on Amazon for $24.99, regardless of whether you’re a plumber, a contractor, an electrician, or simply someone who likes to engage in handy projects around the house. When ordering it, you also get a warranty of 3 years, a free service contract of a year, and the possibility to get your money back in the first 90 days. The DEWALT Angle Grinder prides itself with having a next generation motor, with the impressive specifications of 11 Amp AC/DC 11,000 RPM. This means that its power to weight ratio of 1.8HP is one of the best on the market. Does this make it the best angle grinder as well? if you’re looking for a powerful yet compact angle grinder that will last you for a long time, then this one might just be the best angle grinder for you. It comes with a Dust Ejection System that helps protect the grinder against any debris and dust that could damage it. The spiral bevel gear is quite large, which makes the transmission last for a long time, and the fact that the brush is oversized does the same thing for the longevity of the brush. The One-Touch guard feature allows users to easily rotate the guard when they need to quickly switch angles. 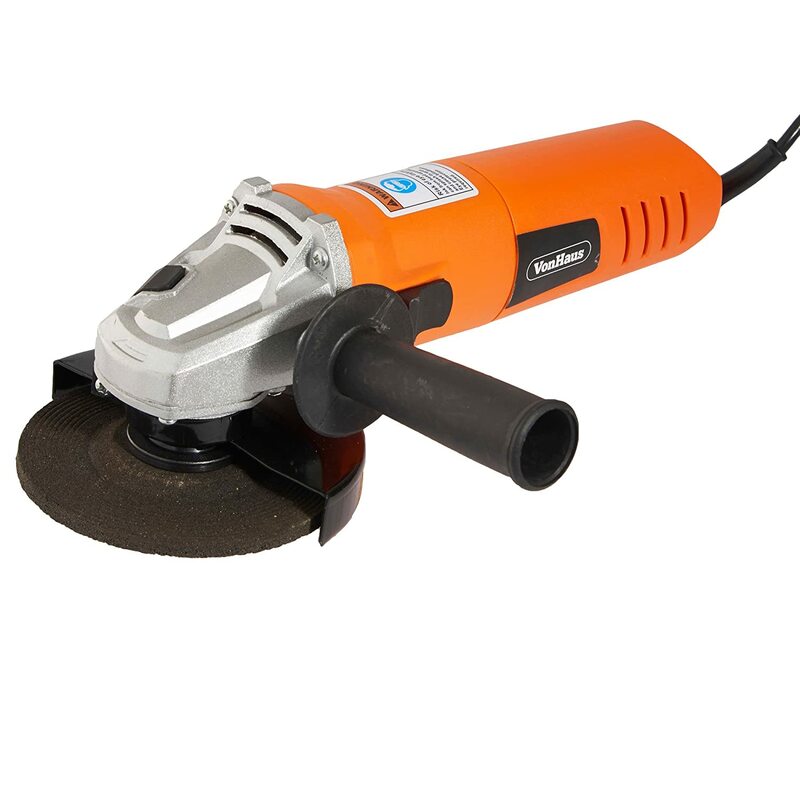 You don’t need a wrench to take out the wheel, and the gripping surface is just the right size to make using this angle grinder a piece of cake. If everything we’ve told you up until now has peaked your interest, you can order this angle grinder from Amazon for $79.00. Most angle grinders come with a 4-1/2 inches diameter wheel and a 6 Amp motor, and this one from Black & Decker makes no exception. The difference between this grinder and others is that it comes with a metal gear case that ensures longer life and durability. The side handle can take three different positions, which you can use depending on the material you’re working on and the angles that you need. You can also easily change its accessories using the spindle lock. The package that you have to pay $26.99 for if you order it from Amazon contains the angle grinder, a spanner wrench, and a metal grinding wheel. A number of bonuses you get here along with the quality of this angle grinder are more than enough for the modest price you pay. Finally, the last angle grinder that we want to present today has a 7.5 AMP motor, despite being so compact. It only weighs 4.5 lbs, it has a small barrel grip that increases your comfort when working with the grinder, and the way it’s constructed works to seal and thus protect the motor from debris and dust. If you want to use this grinder with an alternative power source, you should know that it has an AC/DC switch that is made just for that. The paddle switch is extra-large and the grinder comes with a lock-on/off feature that allows you to continuously operate it. For a powerful and easy-to-use grinder that could become the best angle grinder you’ve ever tested, we recommend you to consider purchasing the Makita model for $79.99 on Amazon. Whether you’re a professional contractor or plumber, or you’re simply an individual who likes to build his or her own things without having to call someone to do it for them, the angle grinders we’ve talked about above are going to make cutting, polishing, and grinding metal much easier for you. We hope you’ll manage to find the best angle grinder for you among the choices in today’s guide.